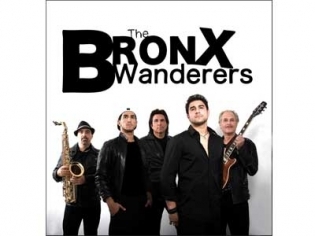 The Bronx Wanderers perform classics from the 50’s, 60’s and 70’s. This perpetually Sold Out show his show will have you singing and dancing all night after hearing so many of your favorite songs. Book your tickets online today. Save up to $20 off tickets to see the Bronx Wanderers in Las Vegas. Tickets start at $59/piece before taxes and fees. Be sure to compare all our promotions to get the best rates for the date/time you wish to attend. Tap into a Rock N’ Roll experience that will give you thrills and chills as the Bronx Wanderers perform classics from the 50’s, 60’s and 70’s. Recreating the magic of an era when songs made your toes tap and your heart pound; The Bronx Wanderers perform a songbook that spans six decades. The group is composed of a father and his two sons and the music spans both generations. The Four Seasons, Bohemian Rhapsody, Uptown Funk, what’s your choice? Well, they do them all, and the superlative vocals make for a great performance. The sax player is fabulous and the fun family photos add a nice touch. This show will have you singing and dancing all night after hearing so many of your favorite songs performed in such a remarkable way! An amazing small group of family musicians with big sound and great vocals will have you and everyone in the intimate venue on your feet singing and dancing. A fun evening at a tremendous value.